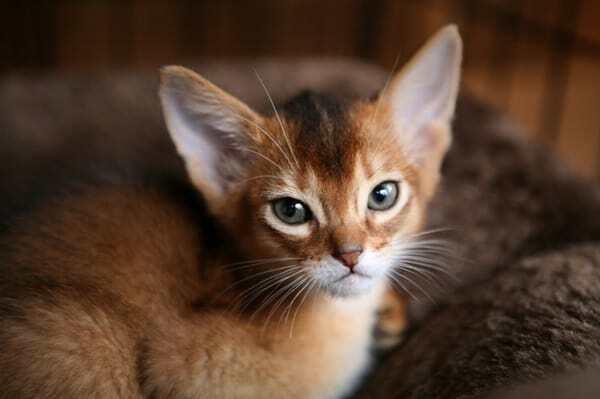 If you are a cat lover, then obviously you know about the Abyssinian Cats. 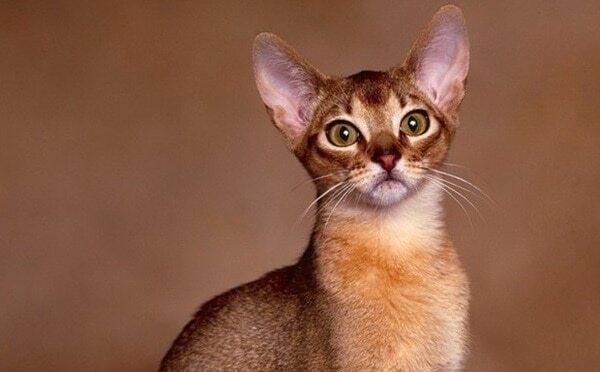 Yes it is one of the oldest known cat breeds in the world. 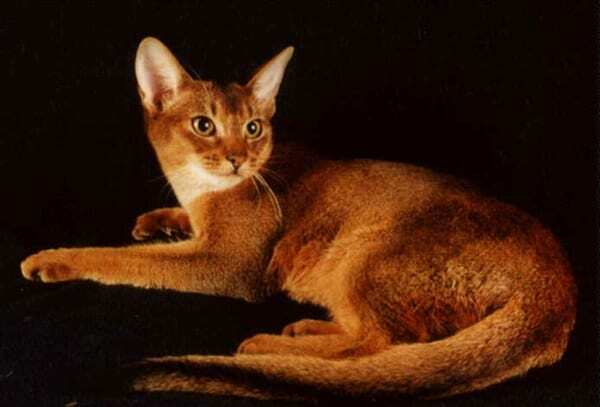 History shows their appearance in various times in paintings and sculptures of ancient Egypt. 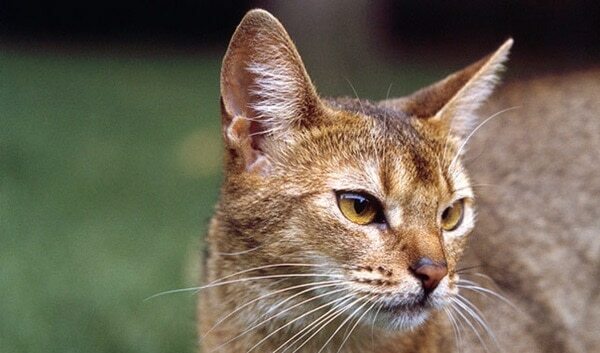 They are still regarded as one of the African wildcat ancestors of all domestic cats. 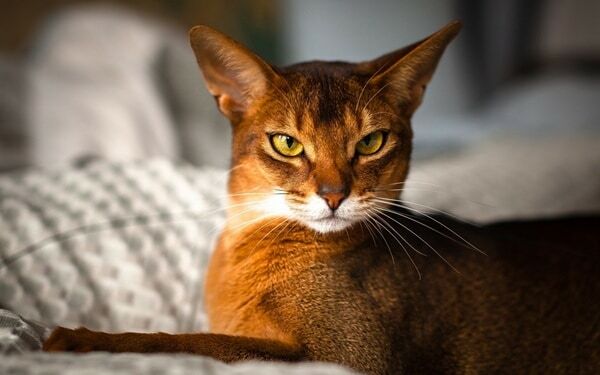 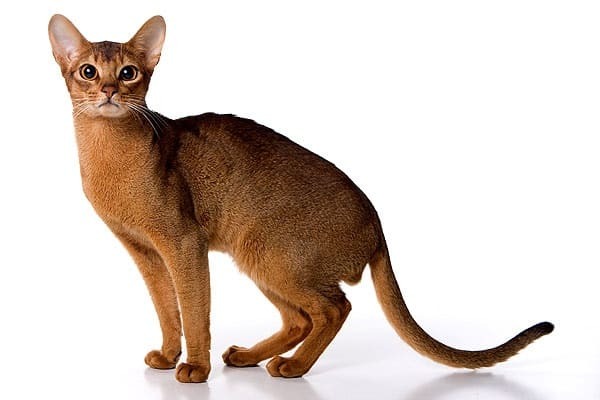 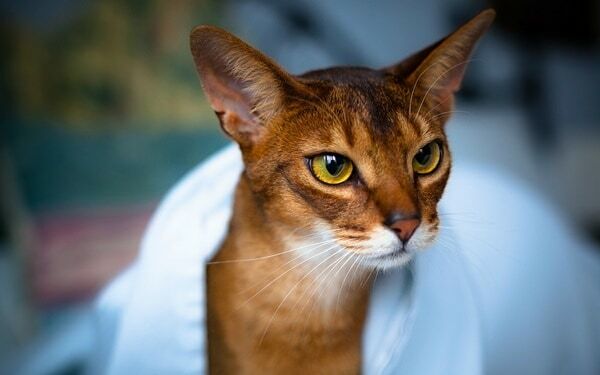 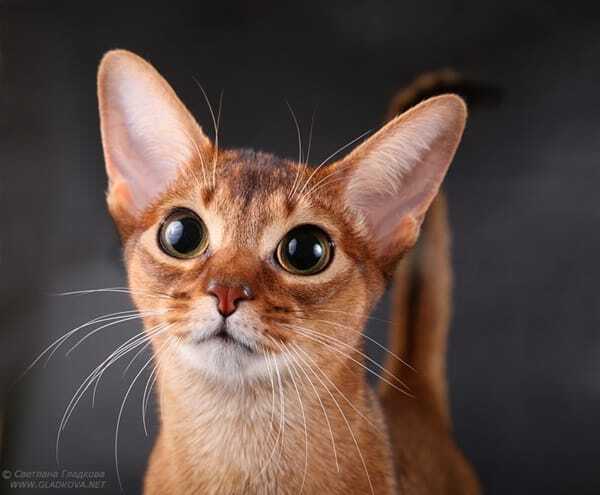 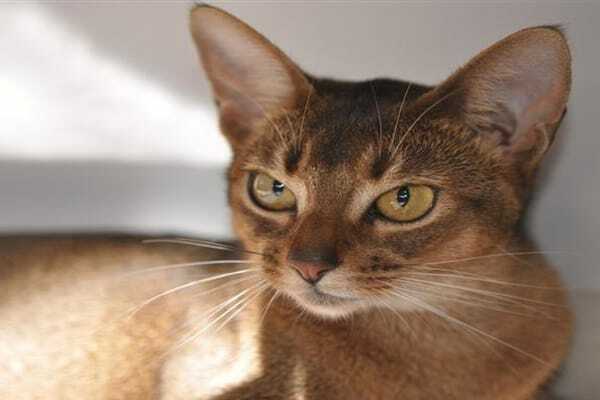 Before we go to the details about this cat breed, we want to say you all that here in this article you will be getting beautiful pictures of Abyssinian cats that can really make you mad about cats. 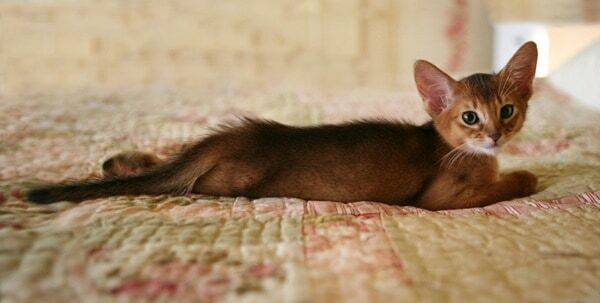 So if you are accepting that, go ahead. 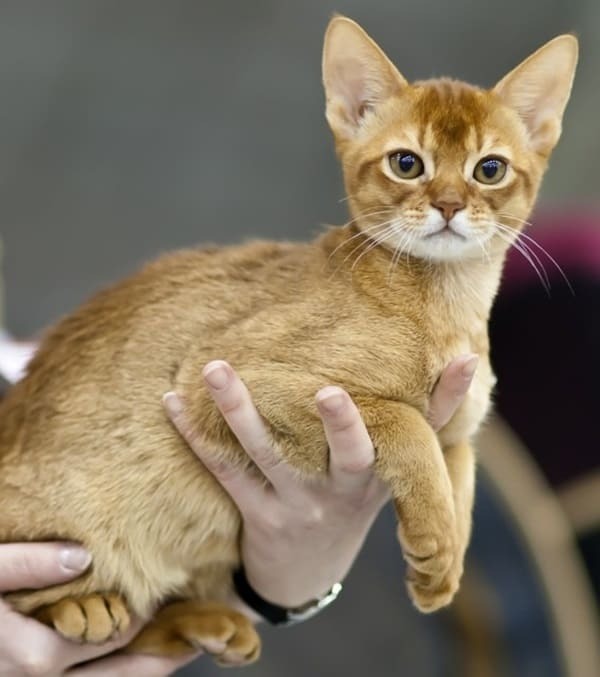 today it is one of the most popular cat breeds around the world. 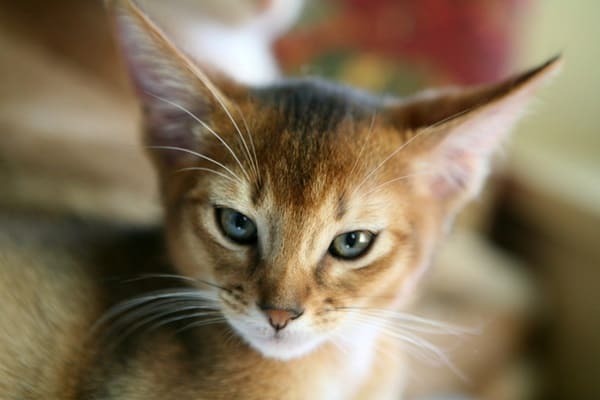 It is breed of domestic short haired cat with a distinctive ‘tabby’ coat. 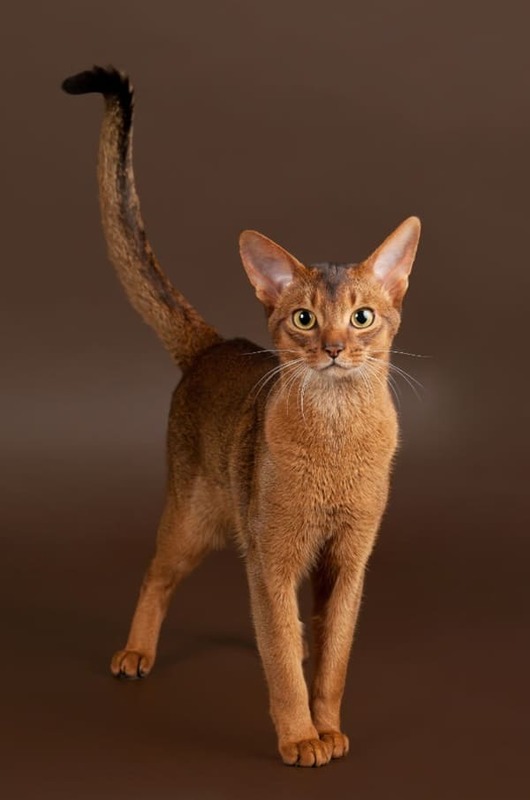 Though it is named after Abyssinia which is now called as Ethiopia but it became popular from the Great Britain. 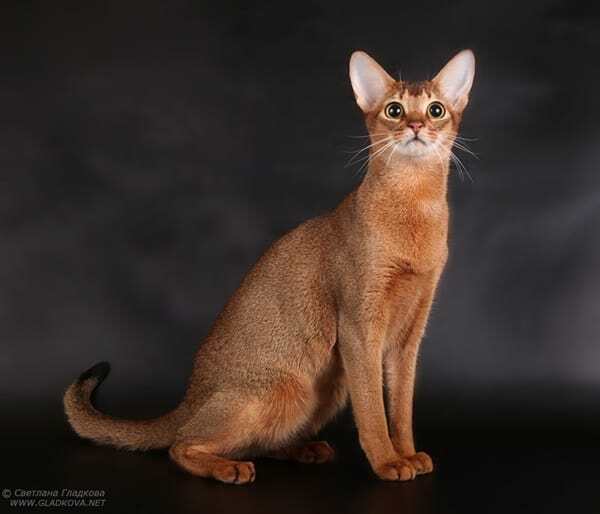 They are a slender and medium sized cat. 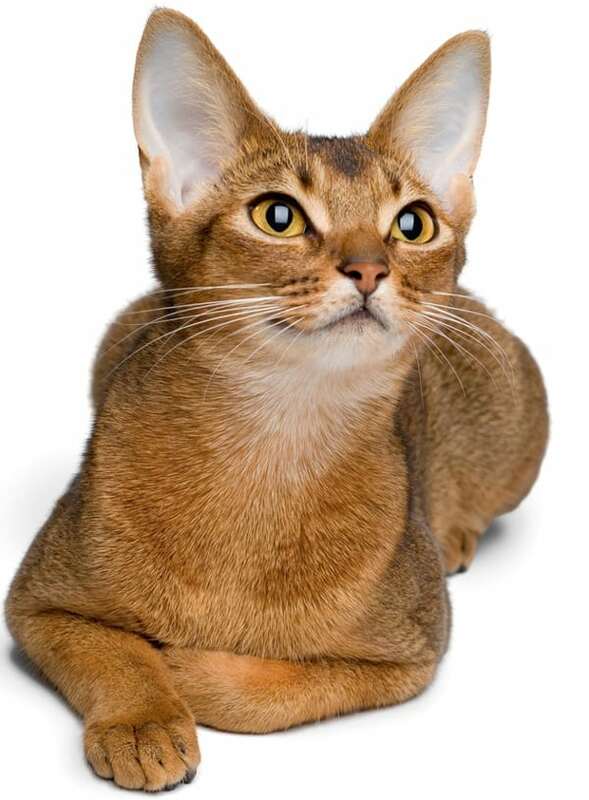 The head is moderately wedge shaped. 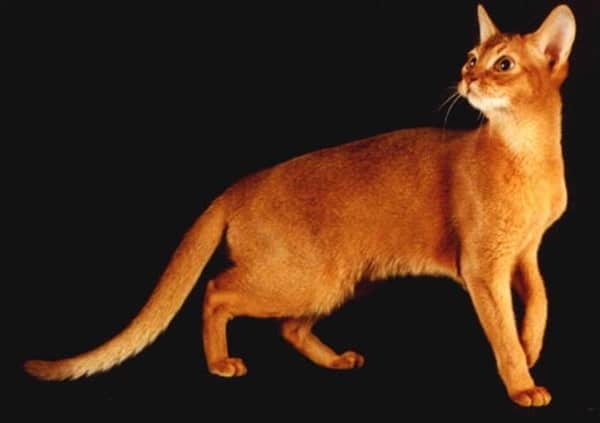 The leg is a bit long is proportion to the body and with small oval paws. 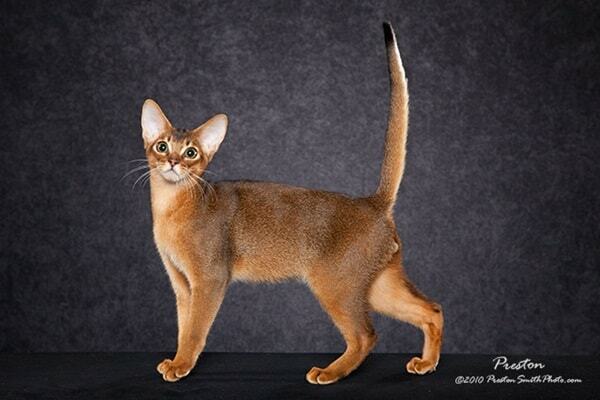 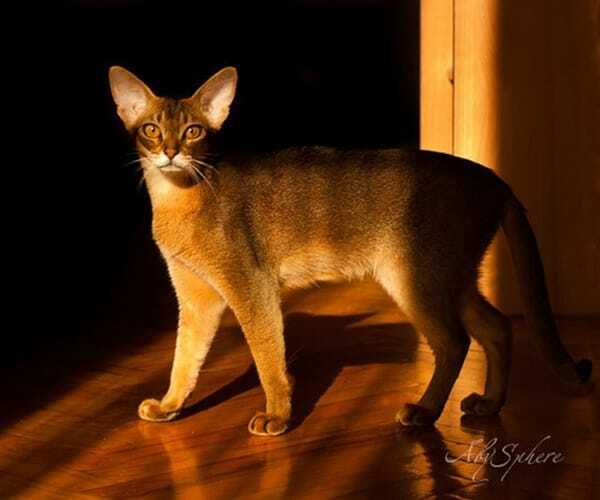 The tails of Abyssinian is long and slightly tapered in form. 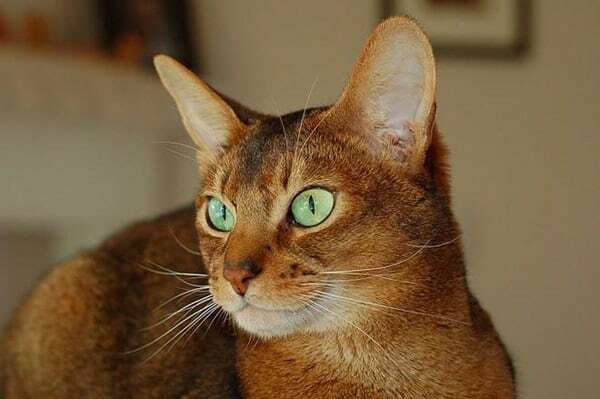 The eyes of Abyssinians are mainly found in various colors and mainly in green, gold, copper and hazel which depends on their coat color. 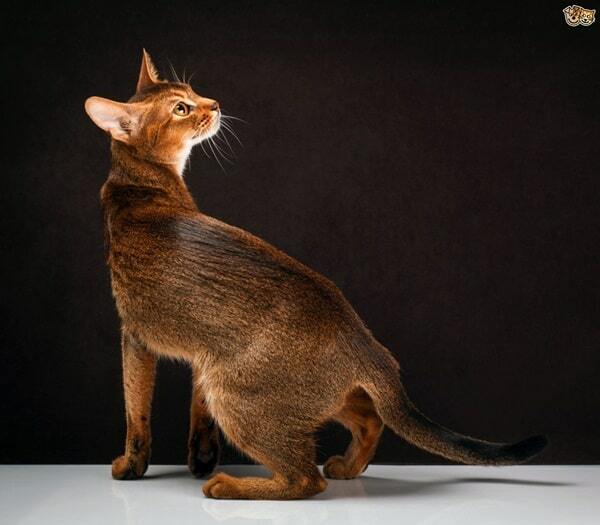 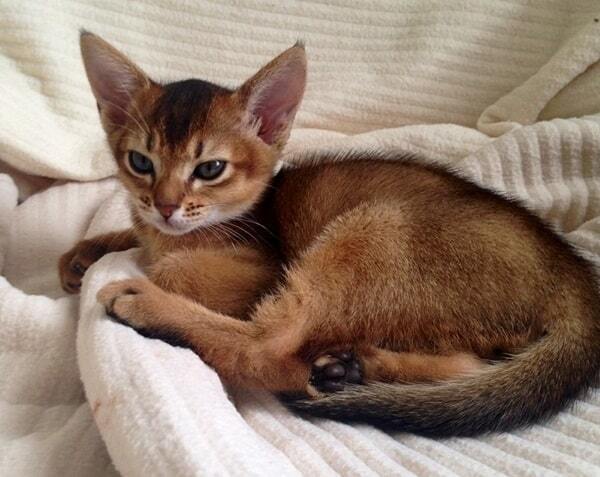 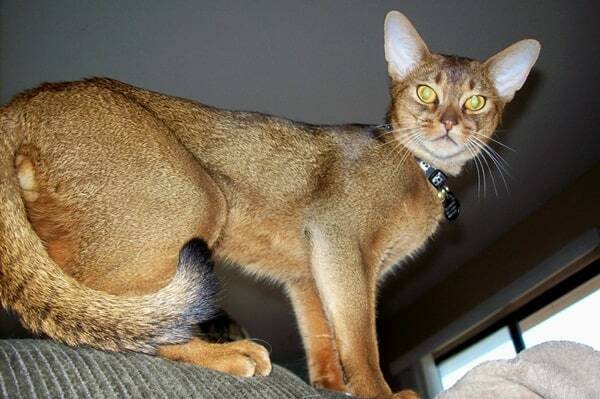 Abyssinians are born in deep coat colors and that lightens as they grow big and old. 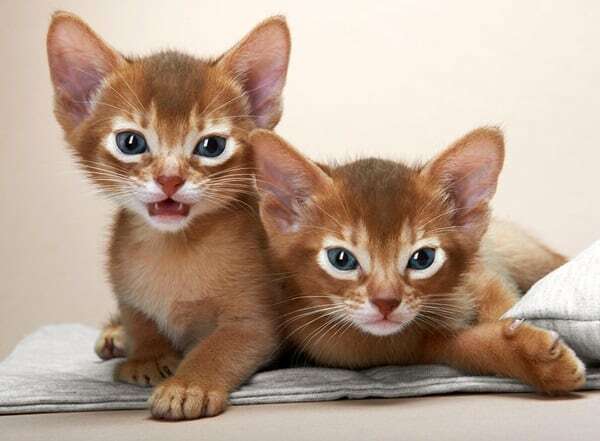 Talking about their size they are mainly 6-10 pounds and on an average they can live up to the age of 15 years and older. 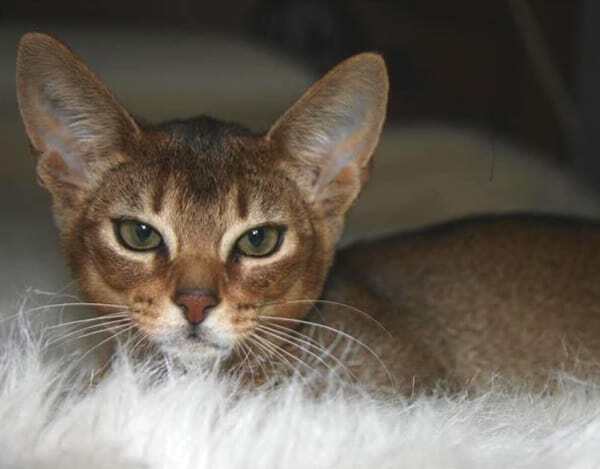 They are very intelligent and you can train them very easily in a short period of time. 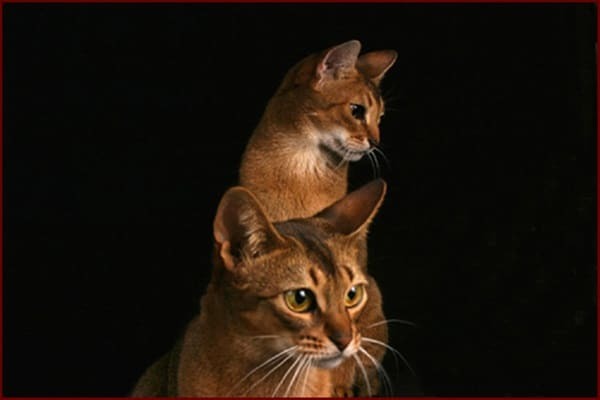 They are highly social in nature and posses a very good behavior. 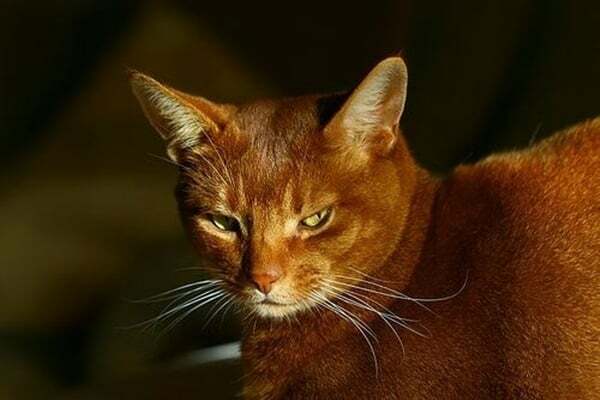 ‘Aby’ or the short name of Abyssinians, as they are called shortly is highly active and athletic. 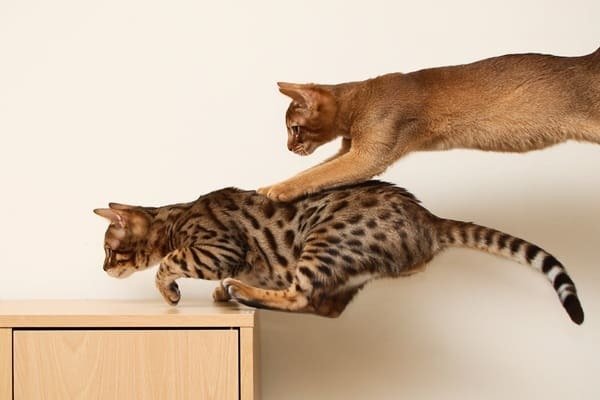 They will love to climb up and down, here and there all over the day as they love to do that. 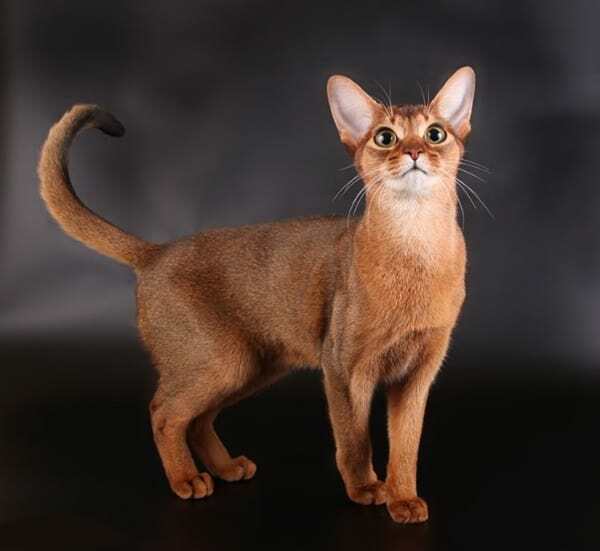 If you are looking for a highly active cat, then you should obviously go for an Abyssinian cat. 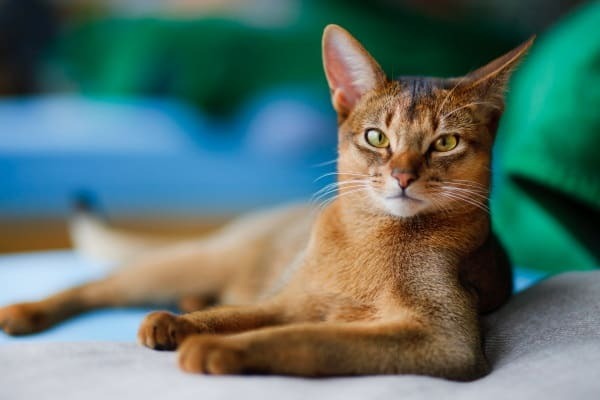 See the pictures how cool they are looking and you can be sure that they have all the ability to make your home shiny. 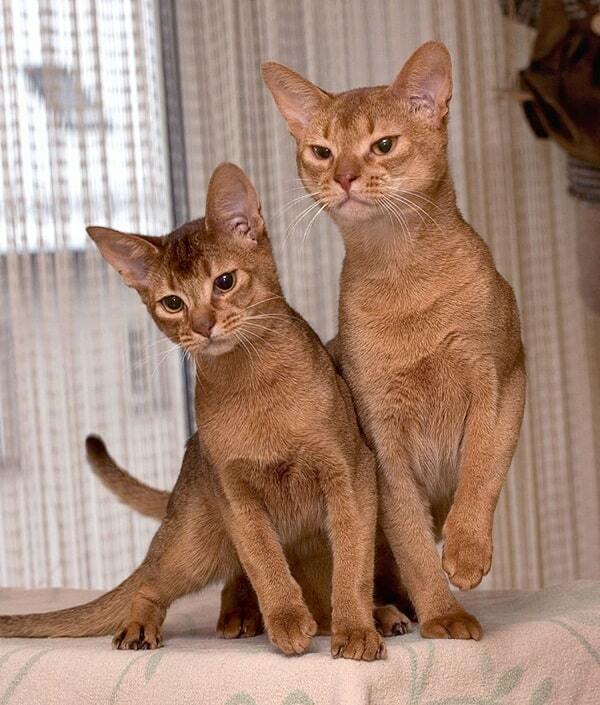 They like to supervise your whole house. 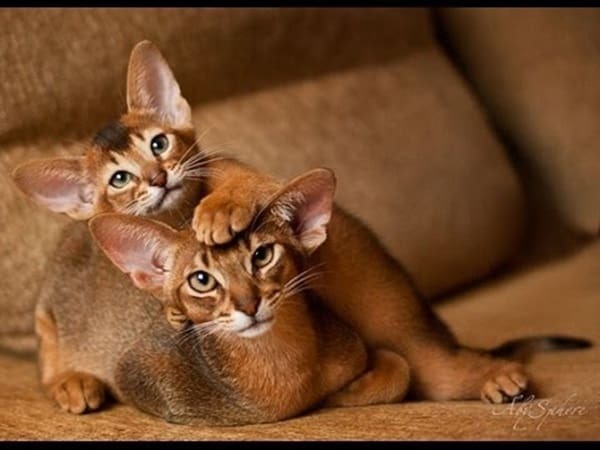 The most amazing thing about this Abyssinian cats is that they stay happy always and will love to play all the time. 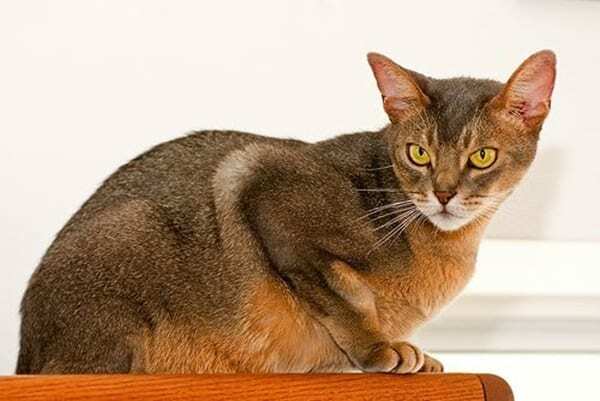 Even if you keep them in a multi-pet household, you don’t have to think about that. 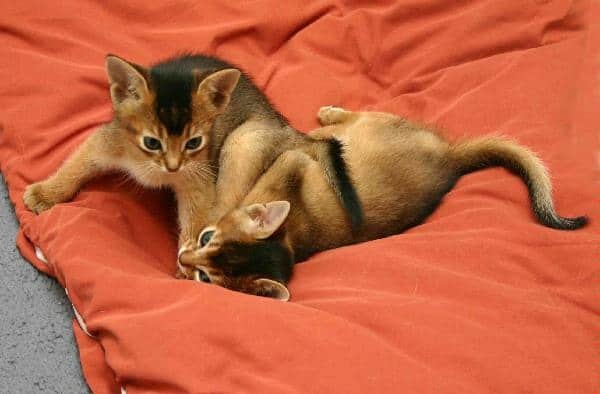 They have an ability to make friends quickly. 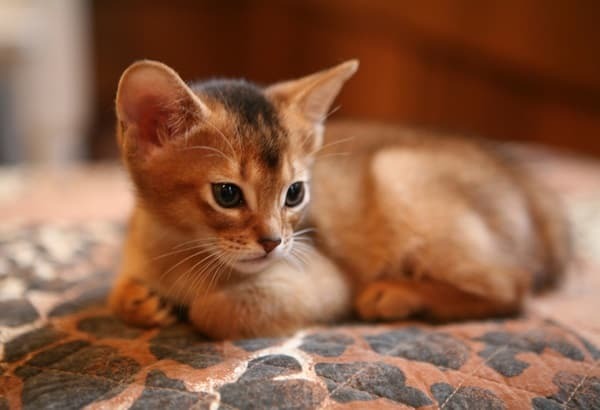 But remember if you bring one in your home, then will have to spend a lot of time with it. 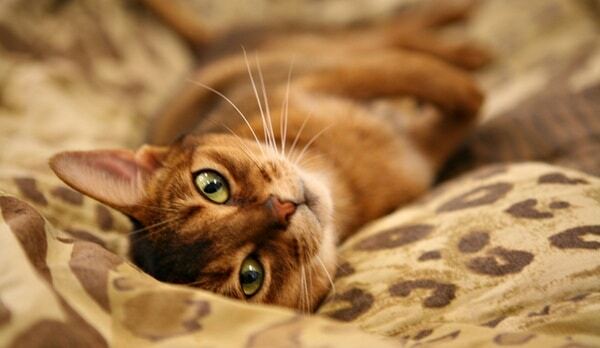 They often become depressed if they don’t get any attention from their owners. 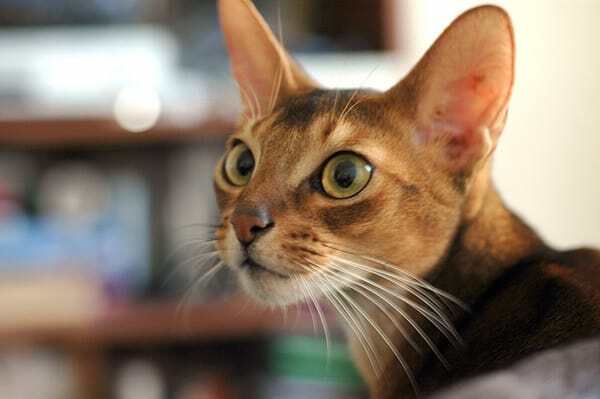 Even they become very sad without constant activities. 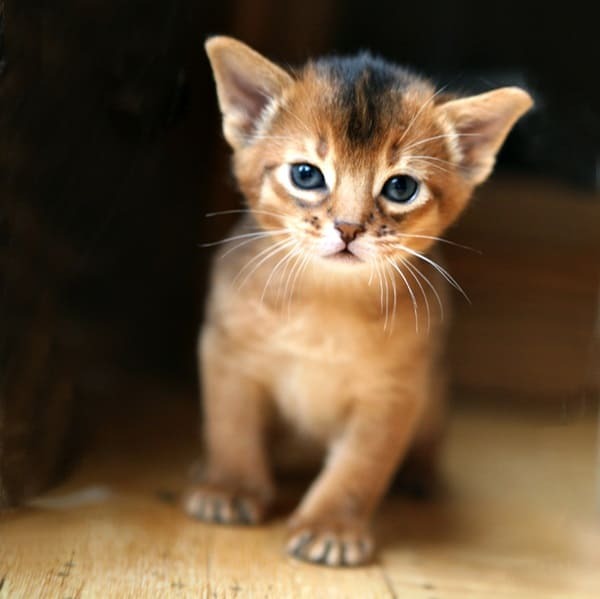 Be sure that you will have to give some time to them regularly so that they can stay happy. 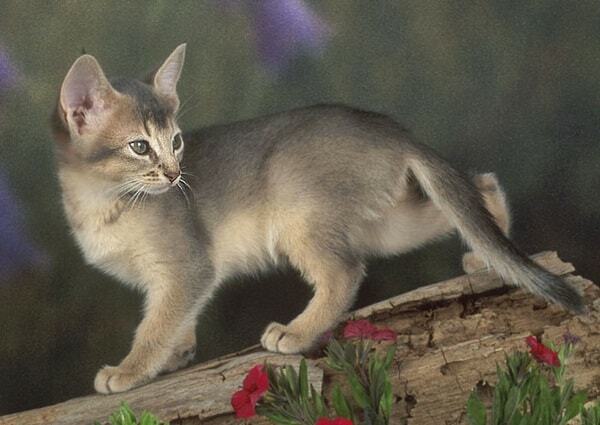 The overall other sides of this cat are really very beautiful and you can select one as your pet. 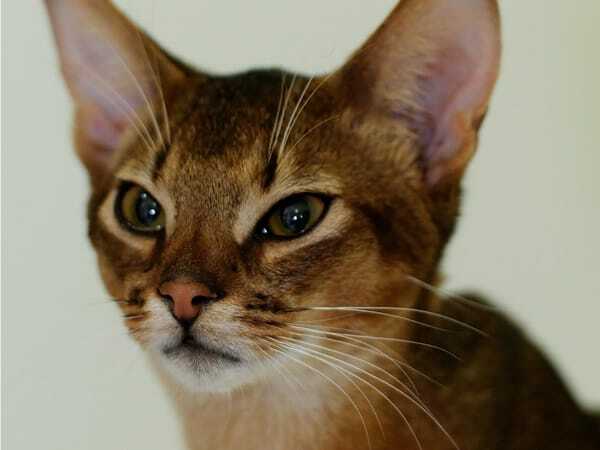 The pictures given here in this article proves how beautiful they are and there is nothing to think about that.